Python Reverse List is one of the List method, which is used to reverse a given list. 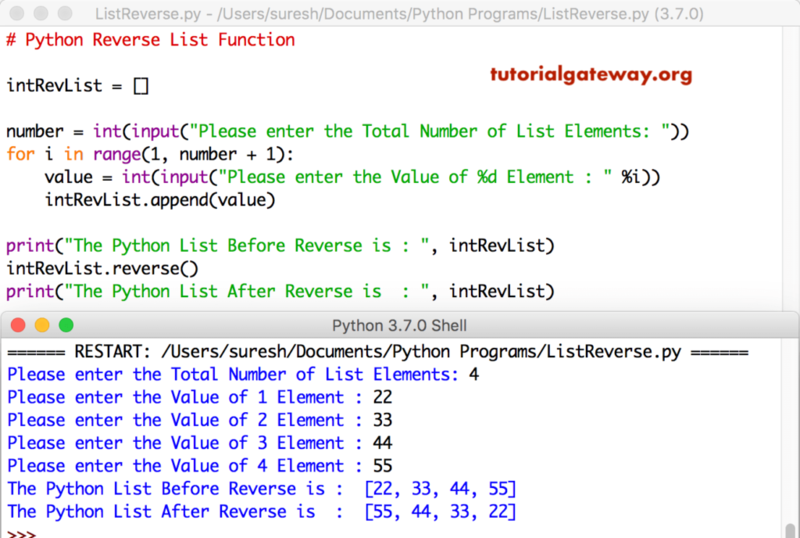 In this article, we will show you, How to use this Python List reverse function with practical examples. In this example, we declared string list. Next, we used Reverse function on it. Let me use this Reverse function on Mixed List. This time we used python Reverse function on Nested list (list inside list).